Gladfield Malt has been steadily growing in the last 14 years. We made the most of the strong growth in both the local and international craft beer sector. Gladfield has been one of those real success stories in an industry that has been long since dominated by the big players. 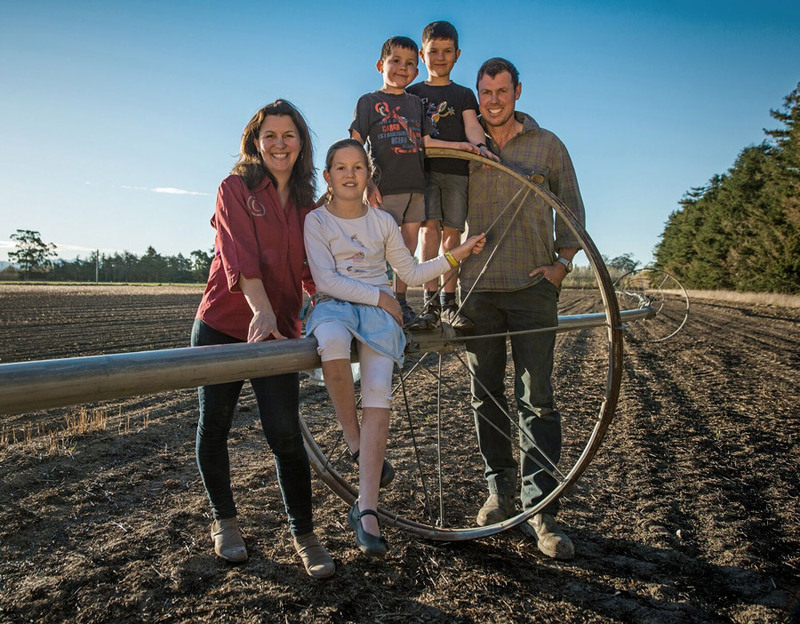 Owned solely by Gabi and The new malt plant adds another myself along with our three children Isabel, Fredrick and Trevor our malting business has grown from humble beginnings on our irrigated cropping farm situated in Dunsandel 35 mins South of Christchurch. My family and I have been growing malting barley for 5 generations but now we also have the support of over 100 grower suppliers from all over the South Island who supply malting barley for us. The new plant adds another 25,000 ton annual production capacity to our existing business. We credit our success to several key factors, firstly the quality of malting barley grown in Canterbury is second to none due to the excellent climatic conditions for growing the crop, and the relationship that we have built up over the years with growers and industry representatives is of huge importance. Grower loyalty and attention to detail is one of the most important aspects of any supply chain in any business. We have a great relationship with New Zealand’s biggest grain trading company PGG Wrightson who we work closely with in not just grain supply but also barley breeding programs. They also supply a full range of agronomy services and support for our growers. PGG Wrightson understands that growers don’t just want to be rewarded for what they do, they also want to be recognised. As a result, it’s not hard to find growers who want to grow top quality malting barley for Gladfield. Flexibility is another key aspect of our business, especially when dealing with a range of customers. You need flexibility not just in equipment but also attitude more than ever today with demanding customers and changing technology, yet many companies have overcomplicated things with their many rules, traditions and layers of middle management. We have been recognised as the “yes” people in the brewing industry. Our affinity of understanding you have made all the difference. Our down to earth, no nonsense, can do attitude has seen us forge relationships with some very demanding customers all around the world who recognise Gladfield’s quality, innovation and service. The new malt plant was designed using the latest technology and is fully automated only requiring one person to operate the whole plant. European programming and componentry have been incorporated into the local design. It was challenging to design and build a malting’s which could withstand a magnitude 8.5 earthquake (based on the new local building standards) but it is also incredibly efficient to run. The most important requirement, however, was to be able to continue to produce a high-quality. The new malting’s addition is also well complemented with our existing roasting house and specialised malt plant which we installed 5 years ago. The malt roasting plant has an annual capacity of over 3,500 ton and has a reputation for producing a very high quality even product. We worked closely with a company in Europe who specialises in roasting equipment to build a roaster that gave us greater control of heat transfer to create incredibly even roasting. The roasting house enables us to produce over 29 different malt types. We may have started from humble beginnings but we have taken on the goliaths of the malting world and really lifted the bar in service, quality and attention to detail. Gabi and I are a great husband and wife team, our passion, energy and enthusiasm have made a real difference to the industry. Judging by the look of it, it won’t be long before young Bel, Fred and Trev will be taking it to the next level for another generation. No doubt in the meantime, however, we still have a few more surprises for you yet! Thank you for supporting our malts and the new products that we are bringing into complement our range like our Brewing Aids. If you have any questions about our malts, how they are made or which malt will suit your beers best, don’t hesitate to be in touch with me personally, I would love to hear from you.